Image courtesy Yei Hwan Jung and Juhwan Lee/University of Wisconsin–Madison. In the age of the Internet, you can do almost anything wirelessly. This is especially intriguing in the health care field where professionals can monitor the data of patients without having to be in the room. A new paper published by a team at the University of Wisconsin-Madison could have huge implications for the medical industry because it’ll only make the above scenario easier. This is thanks to new advances in wearable integrated circuits that claim to be the fastest, thinnest, and stretchiest to date. 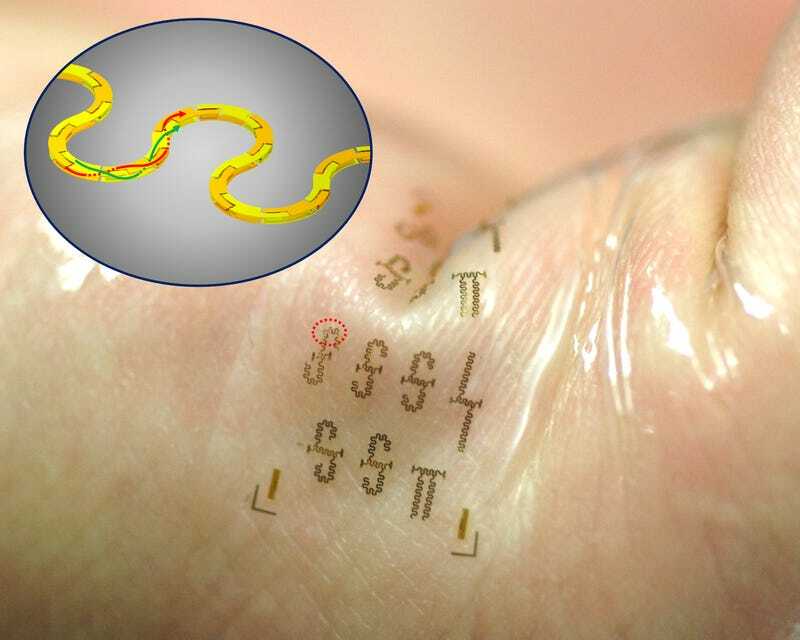 The team, led by Professor Zhenqiang “Jack” Ma, hopes that the circuits could be used in intensive care units like temporary tattoos, allowing patients to be monitored without cumbersome and uncomfortable wires. Weekend editor and night person at Gizmodo. More space core than human.